The Sino-Indian Digital Collaboration Opportunity Plaza (SIDCOP) is a joint venture between Nasscom and Chinese municipal governments, aimed at bringing Indian IT firms and Chinese enterprises closer on a digital platform. “Indian IT has traditionally focused on English-speaking markets. The ploy of labour arbitrage does not work anymore. In 10 years, we’ll see non-English markets in the same place as English-speaking ones. We have been in China since 2003, and have been thinking if we can find a new horizon for Indian IT,” Chatterjee said. Estimates show China's current IT services spend is more than $35 billion, of which India's current share is $500 million. “To build anchor points and assets that would serve the industry for years, we came up with this corridor model (SIDCOP) and partnered with two Chinese cities — Dalian and Guiyang — to create this platform. We now have a team (through Zeta V) that is helping us push cooperation with Chinese firms in accordance with local norms and culture and in the local language,” said Gagan Sabharwal, senior director, Global Trade Development, Nasscom. 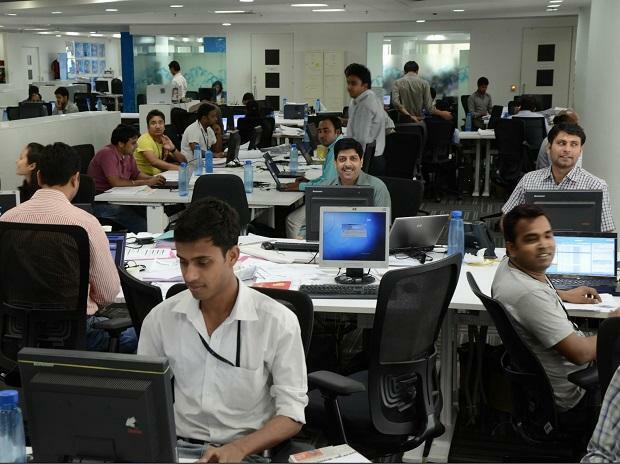 The project is part of Nasscom’s larger move to reduce dependence on the US and UK, which together make up over 70 per cent of Indian IT exports. Asia constitutes 8 per cent. The SIDCOP model is an online and offline platform, coupled with support from the local Chinese governments, and focused on a theme for each IT corridor. The one in Dalian will focus on artificial intelligence and Internet of Things projects, while the Guiyang corridor will work on big data. “Multinational companies are less than 10 per cent of the Chinese information and communication technologies (ICT) market, while 60-70 per cent are tier-2 and tier-3," said Chatterjee. This is the market that the project is looking to tap. On the Indian side as well, the tier-2, tier-3 and tier-4 vendors and freelancers will be encouraged to fulfil projects. The online platform for SIDCOP allows Chinese firms build a request for proposal from scratch in the local language, and converts the same in real time to English for the India IT vendor. In the backend, Zeta-V has an offline team that checks the translation for correctness. Freelancers or firms can bid for requirements put up by the Chinese firms. For the first three years, Nasscom has worked out an arrangement with the Chinese municipal government to allow Indian companies that start operations to stay rent free for first three years. There is also a pact with a university for children's education, schooling, and spending in China through the local banking system.